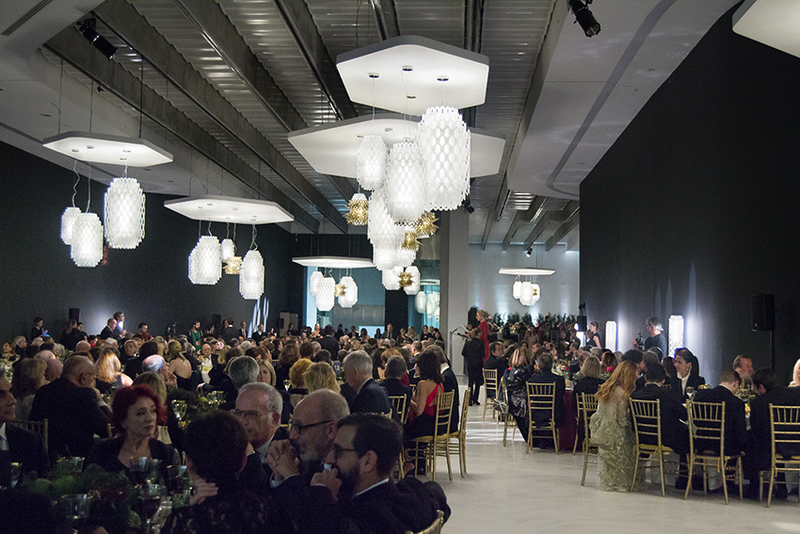 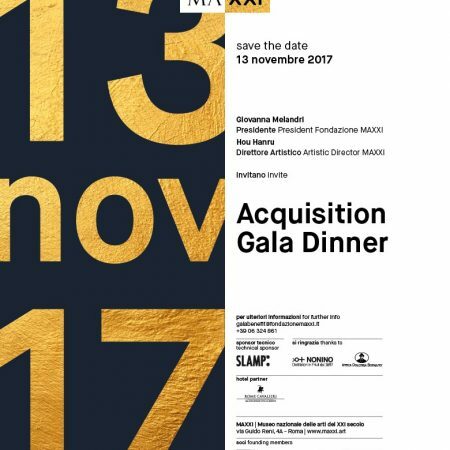 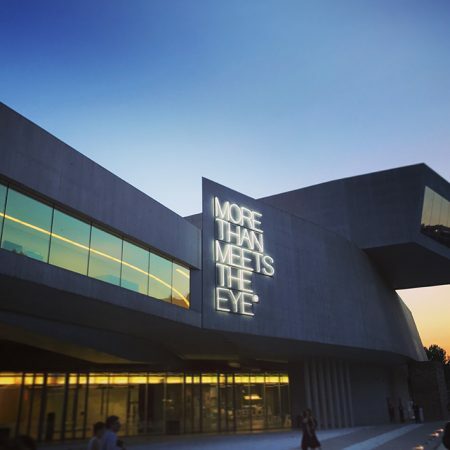 November 13, 2017 – Rome’s Maxxi, Museo Nazionale delle Arti del XXI Secolo, holds an annual fundraising event geared towards the conservation and growth of the museum’s permanent collection; this year’s edition features a suggestive lighting installation designed by Slamp. 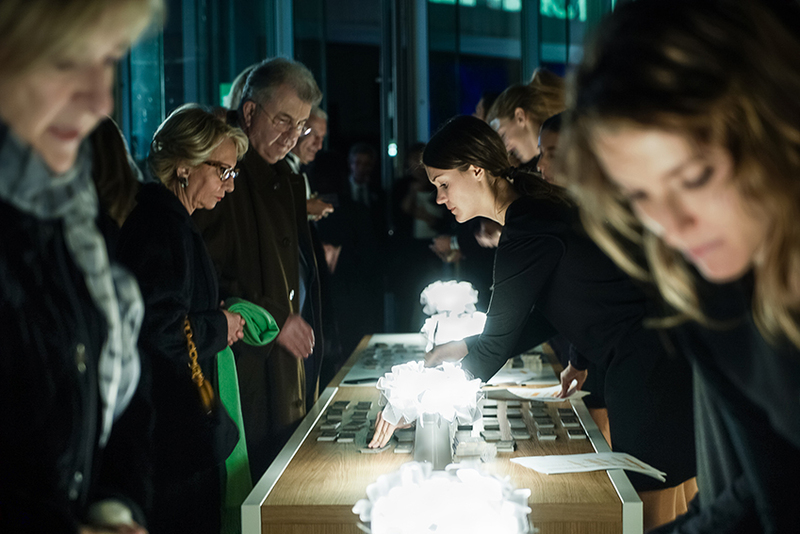 This November 13, starting from the museum’s square, guests are greeted by the delicate illumination of the new Clizia Table Battery, botanical lanterns that introduce the showing of Michel Comte’s “Light”. 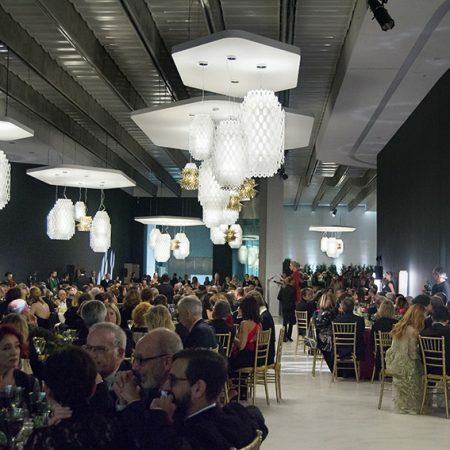 Moving on to the foyer, guests follow a pathway lit by the Charlotte collection, designed by world-renowned architects Doriana and Massimiliano Fuksas. 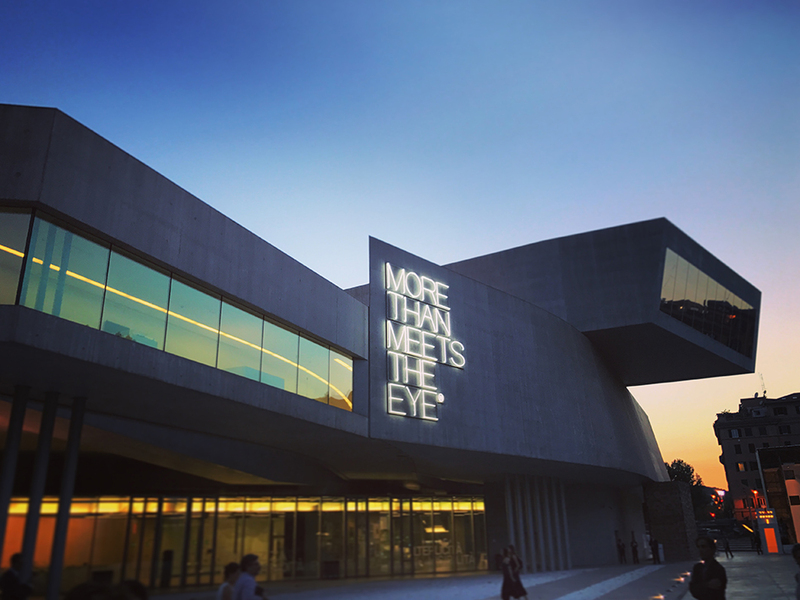 After visiting Hou Hanru (MAXXI’S Art Director) and Giulia Ferracci’s “Home Beirut. 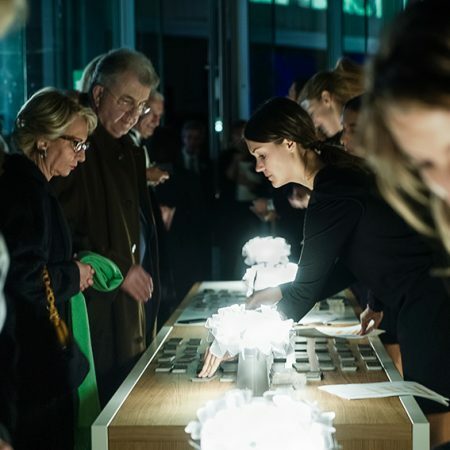 Sounding the Neighbors” exhibition, guests enter the immense, theatrical Salone di Gala, where every inch and angle is defined by Slamp’s illumination. 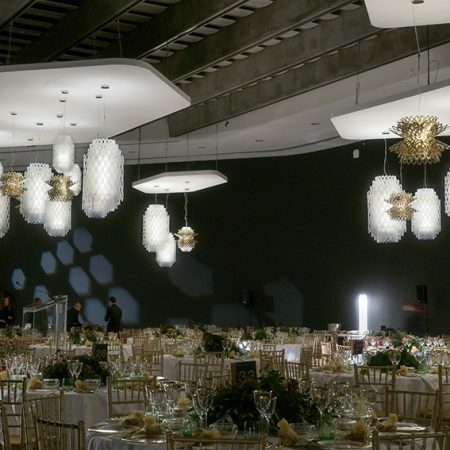 Fuksas’ Desert Rose and Chantal, in shades vary form white to shining gold, encircle the exclusive dinner prepared by Chef Cristina Bowerman in collaboration with Hussein Hadid, guest chef and nephew of the celebrated Zaha Hadid (to whom the museum has dedicated a retrospective, including her lighting collections designed for Slamp in 2013, running until January 14, 2018). 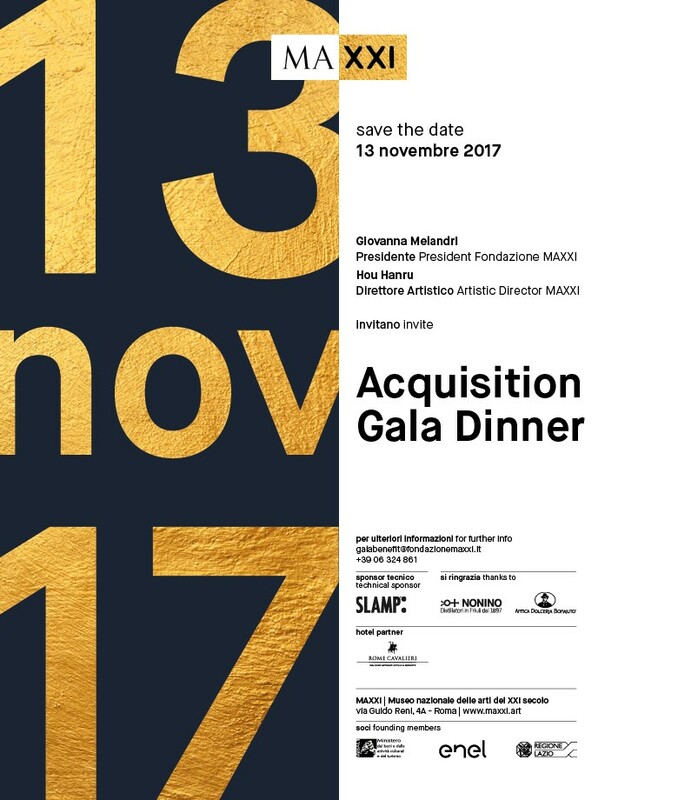 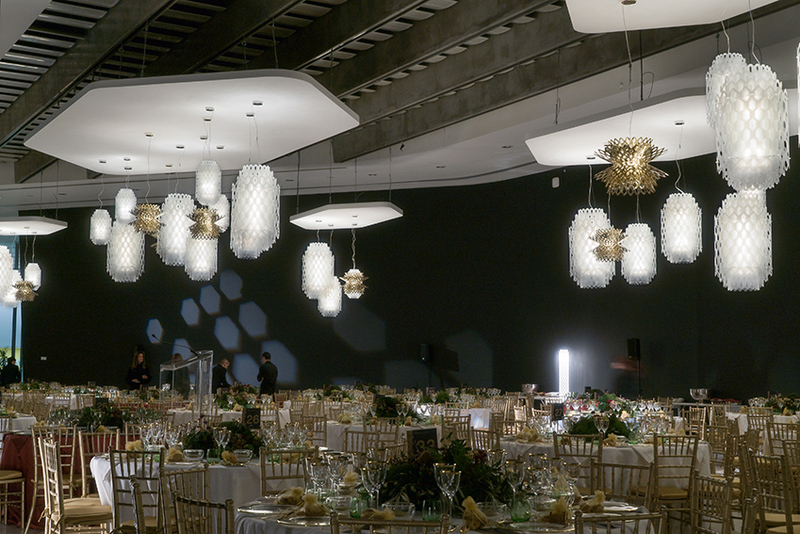 Slamp’s luminous installation is even more evocative thanks to the play of shadow and light cast by gobos, made specifically for the MAXXI Gala Dinner. 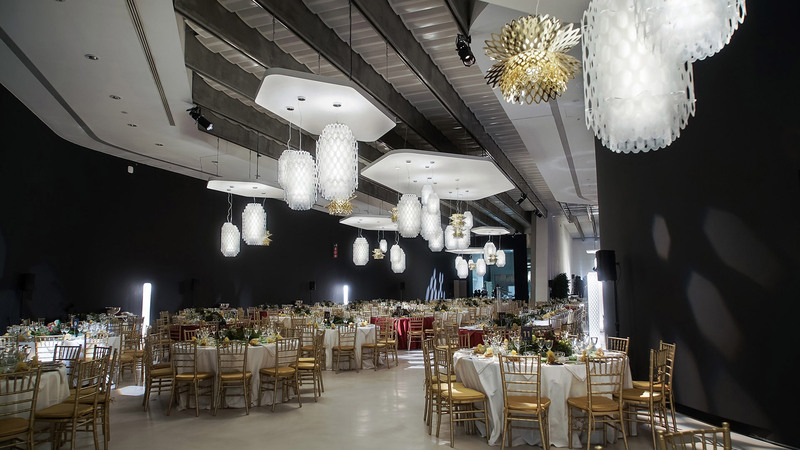 The Fuksas collections’ fil rouge, the hexagon theme, adorns Gallery 4 with evolving luminous intensity that follows the flow of the dinner’s various courses.